Small changes mean a small price hike is in store for the 2019 Honda Civic Si. With an improved infotainment setup headlining the updates, the Civic Si starts at $25,195, up $200 from last year. Just like the previous Civic Si, starting prices are the same whether you opt for the sedan or the coupe. This year, the Civic Si receives an updated Display Audio system. Rather than relying on haptic touchscreen controls, drivers and passengers can adjust settings like fan speed and volume through a knob and physical HVAC buttons. Honda says it tweaked Bluetooth integration to make it easier for users to pair their phones with the Civic Si. Other updates include larger cupholders, new steering wheel controls, and a revised electronic parking brake switch. Two new color options are available: Platinum White Pearl and Tonic Yellow Pearl. The latter is available only on the coupe. Once again, the Civic Si comes with a turbocharged 1.5-liter inline-four making 205 hp and 192 lb-ft of torque. This engine pairs exclusively with a six-speed manual transmission. In our tests, we’ve clocked a 2017 Honda Civic Si sedan hitting 60 mph in 6.7 seconds. 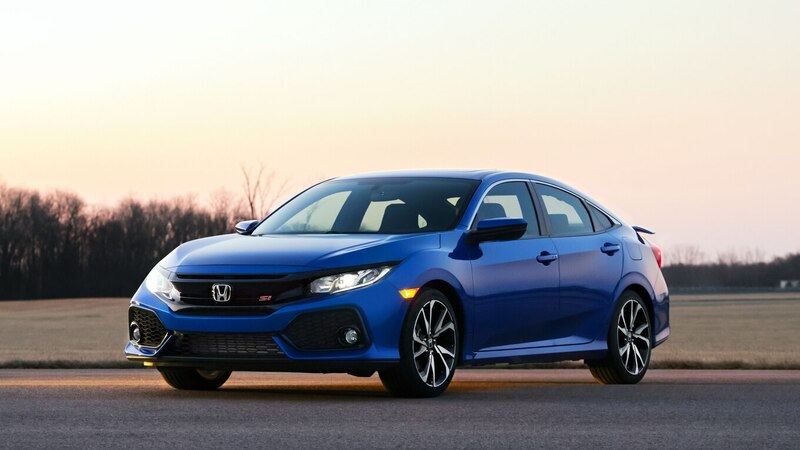 Honda recently updated the standard Civic sedan and coupe, which arrived in dealerships earlier this month. These models received price hikes, but also a refreshed design and more standard features including Honda Sensing on all trims. A new Sport trim brings along black exterior accents. 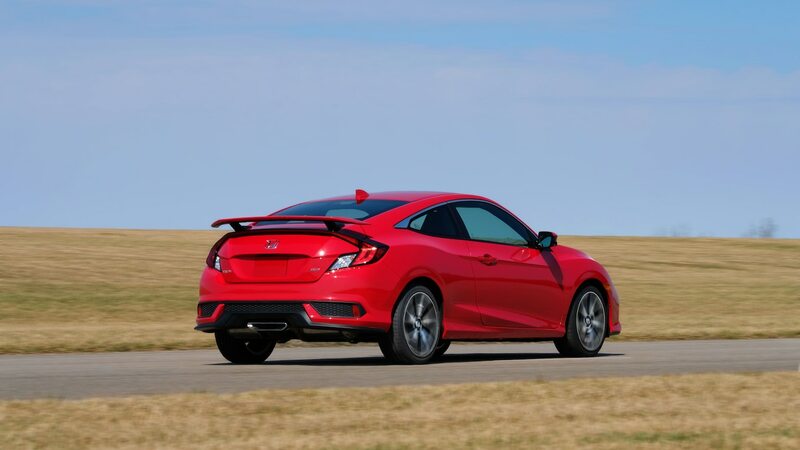 The 2019 Honda Civic Si coupe and sedan will join the newly refreshed standard Civic in dealerships November 1. The post 2019 Honda Civic Si Priced from $25,195 appeared first on Motor Trend.